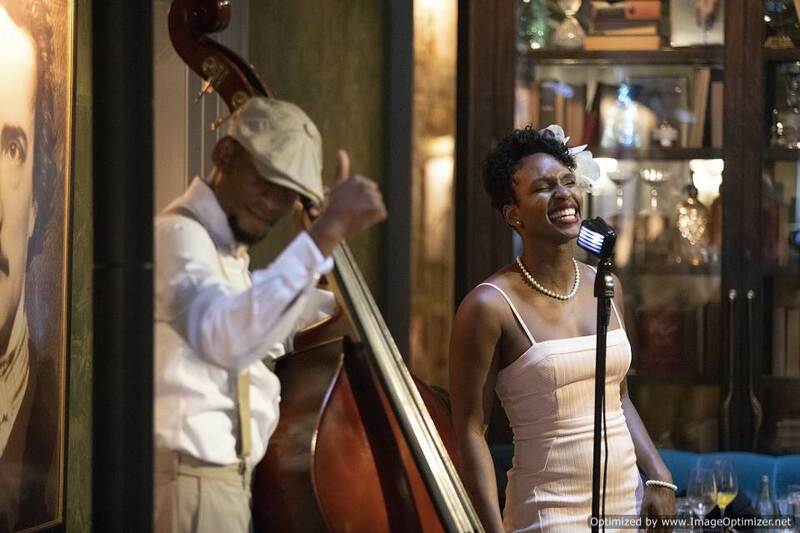 Every Sunday in The Bar Room, catch Acute Inflictions, a chic bass and voice jazz duo from NYC. Their eclectic performance of Top 40, Jazz, R&B, Rock and Reggae selections may be deceptively simple, but delivers an intoxicating jazzy, funky and sultry sound. Both classically trained, Elasea Douglas and Sadiki Pierre love freely mixing different styles and forming the percussive, melodic and groovy style that they will surely become known for.